Amazon Australia: A jungle out there for red meat retailers? Amazon launched its Australian e-commerce website on December 5. HOW will the arrival of e-commerce colossus Amazon affect the way red meat is sold in Australia? The answer is likely to hinge on yet-to-be revealed details such as how and when Amazon plans to expand its product offering to include fresh food. Freshlogic managing director Martin Kneebone. 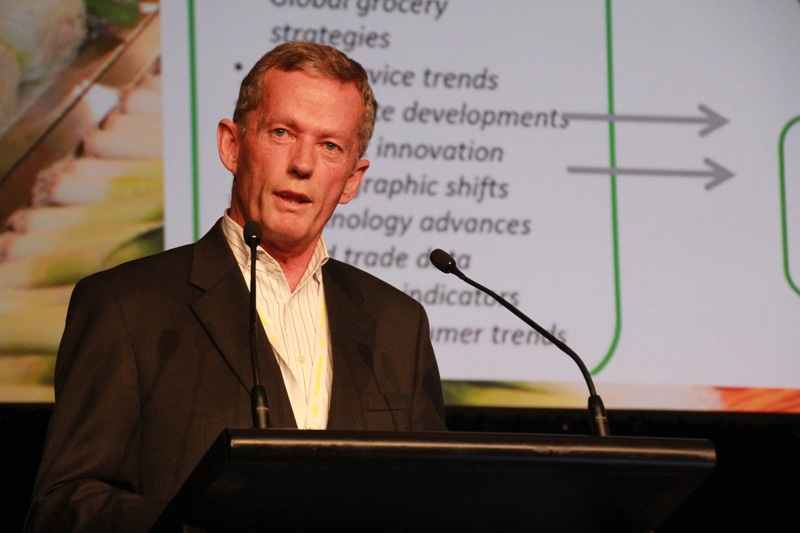 Martin Kneebone, managing director of Freshlogic, which provides in-depth market and trend analysis of Australia’s fresh food supply chain, told Beef Central this week that Amazon’s impact on fresh food sales will depend on whether it buys stock and trades as a merchant in the category, or acts as a third-party market place for other sellers, or both. But judging by the level of retail disruption the online giant has caused to date in the 16 or so countries into which it has already, it would be brave person who would predict little to no impact on the red meat retail sector here. Seemingly most at risk of bearing at least some of Amazon’s brunt are the big supermarkets, although Coles and Woolworths have already developed well-established online fresh-food shopping channels and delivery services for their customers. While Amazon will provide competition, it will also provide some opportunities. Potential beneficiaries in the red meat sector appear most likely to be the owners of independent branded beef and lamb supply chains, which could benefit from having access to a future Amazon third-party market place in Australia, and with it the potential to reach a much larger customer base. Amazon was originally launched in 1994 by computer science graduate Jeff Bezos as an e-commerce bookstore. Now the world’s largest online shopping retailer, it sells everything from ‘A to Z’, as denoted by the arrow in its logo pointing from the A to the Z in Amazon. The same arrow doubles as a smile, said to emulate Amazon’s mission ‘to make customers happy’. Amazon’s business model is based on a massive product range and highly efficient distribution and logistics chains which enable speedy delivery of products to customers (within a day or even within an hour of purchase in some markets). As a high volume, low margin business, it trades on being able to provide customers with faster delivery and cheaper prices than its retail competitors. The existence and high profit contribution of the Amazon cloud and data services provides diversity well beyond that of other retailers, ahis means they bring a different set of strengths to how they can compete with B&M retailers. 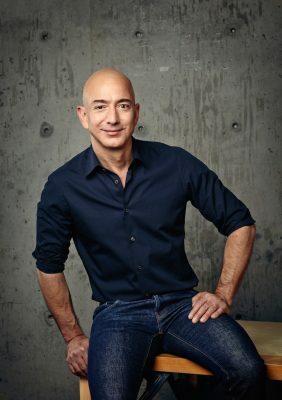 After rapid growth in recent years Amazon now ranks as the world’s fourth most valuable publicly-traded company behind Apple, Alphabet (Parent company of Google) and Microsoft (This is according to the Financial Times’ Global 500 list, as published on Wikipedia). Amazon launched its much-anticipated Australian operation last week, offering products across 23 categories, including clothing and shoes, video games, consumer electronics, tools, toys, home improvement items, beauty products. After months of hype and expectation, the launch was invariably reported as ‘underwhelming’ by Australian media, based on a more limited product offering and fewer bargains than many had anticipated. However, it has been suggested the limited product offering is a result mainly of Amazon having jumped early to capture as many Christmas 2017 holiday shoppers as possible, and will continue to build towards a much larger product range in 2018. Amazon is expected to launch Amazon Prime here next year, a subscription service where shoppers benefit from low cost or free shipping and faster delivery. As it has done in other countries, Amazon may also be set to offer Amazon Fresh in Australia, its online grocery shopping and home delivery service. There have been further reports Amazon also plans to build physical grocery stores in Australia under its Amazon Go brand once its online presence is firmly established. Martin Kneebone of Freshlogic said Amazon’s quiet launch last week may have created a sense of complacency among its potential competitors. “There have been a couple of self-fulfilling perspectives saying ‘they’re not that cheap, we will be okay’, which is ridiculous,” Mr Kneebone said. Mr Kneebone predicts that in the fresh food, and by association the red meat, category, Amazon will accelerate the already existing trend toward online food shopping in Australia. “There has been quite a bit of activity from specialist providers selling products online into households for some time, and I don’t think it is getting less, I think it is getting more. “So what you have got with Amazon is a whole lot of enabling. Amazon’s impact on existing fresh food retailers will depend on how they model their fresh food strategy in Australia. It’s possible Amazon may look to partner with an existing retailer Australia, as it did in the UK, Mr Kneebone said. “I think the supply lines, the physical distribution side of their business here, has probably got more challenges about it, and it is not as easy,” Mr Kneebone said. “What they have done which has worked pretty well when they expanded out of America is that they have dove tailed into an existing retailer’s supply chain. “They cut a deal with Morrisons in London which means they didn’t have to create an entire buying team, merchandise range and logistics set-up. Mr Kneebone said the arrangement had worked well in London for Amazon and had also benefited Morrisons by giving it scale and a life in the face of severe competition from discount European supermarket chains such as Aldi and Lidl. The pending introduction of online fresh food shopping through Amazon threatens to challenge the large supermarkets’ existing ownership of the valuable weekly ‘stock-up’ shop. Customers today typically shop in grocery stores three to four times a week. Most of those visits to stores are for ‘top-up’ shops, but online options will challenge for greater market share of the planned, dedicated stock-up shops. “This is the bigger one, this is the valuable one the retailers don’t want to lose,” Mr Kneebone said. “You don’t do little bits and pieces online, you do big shops”. Coles and Woolworths already have well-established online shopping and home-delivery services where they offer a full range of products to customers online. The bricks and mortar supermarket model is a very cost-effective way of delivering products to consumers. In this model consumers travel to the store, select and bag their own items, and deliver their shopping to their own homes. By contrast, online shopping is a less attractive business model for existing supermarkets. Supermarket staff, not the customer, must select and bag the items and deliver them to the customer. Mr Kneebone said the big two Australian supermarkets were doing an ‘acceptable’ job with their current online shopping services. “The main reason they are doing it, I think, is because they need to defend the space,” Mr Kneebone said. Mr Kneebone said independent red meat brands could benefit from Amazon’s presence by selling on its third-party market place and reaching a larger customer audience. “Here (with Amazon) we have a distribution channel that will likely applaud well-positioned brand and it will seek to tell the provenance story that is the essence of that brand,” Mr Kneebone said. Mr Kneebone said there was already a reasonable scale of online fresh red meat and home delivery options in Australia. “This (Amazon Australia) is not absolutely greenfields, new frontier type stuff, you have got a few consumers who have got their heads around it already. “You have got fresh meat going into the meal kits, so there are options across the whole online channel. “It is a continuation with a great big player talking more about it, probably combining it with whole lot of other product. “They haven’t entered the category yet, they haven’t said whether they will or not. Growth in online sales in Australia grew at 13 percent last year according to UBS research, well above total retail sales growth of 2.9 per cent. The same UBS report released last month also predicted that the rate of online growth will double once Amazon starts trading.